Blue Asiatic Pheasants, made in England by Burgess and Leigh. Brand new and first quality, dishwasher and microwave safe. 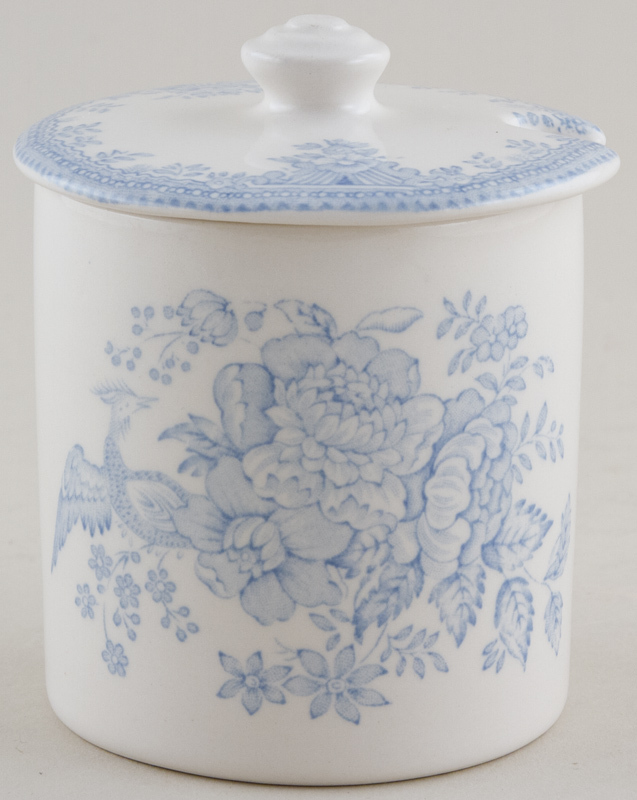 Blue printed backstamp Burleigh Asiatic Pheasants B&L England. There is a cut out in the lid for a spoon.